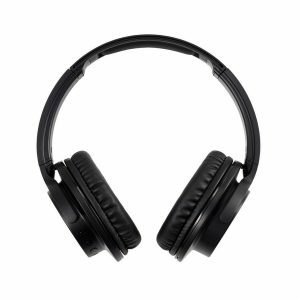 Audio Technica’s ATH-ANC40BT offers active noise cancelling and wireless Bluetooth convenience that is ideal for travel. Engineered to deliver high quality music playback on the move while shutting out the distractions of travel, the new Audio-Technica ATH-ANC40BT in-ear headphones offer a winning combination of convenient Bluetooth technology, powerful audio performance and effective noise-cancellation. 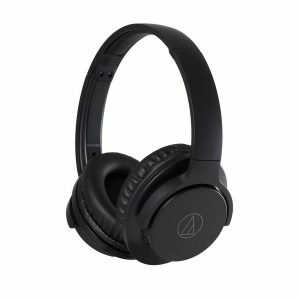 Featuring an innovative new design, the Audio-Technica ATH-ANC40BT makes use of Bluetooth 3.0 and AptX technology for clearer wireless sound, allowing wearers to cut the cords and wirelessly transmit high quality, low compression music and other audio from up to two sources simultaneously. If one of these items is a smartphone, wearers can use the integrated microphone and controls to easily take and end calls, as well as adjust volume and control music and video playback. 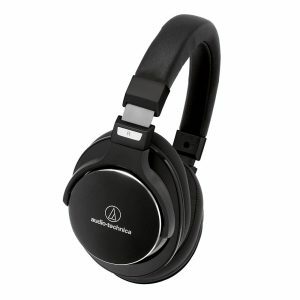 In addition to its ability to connect to two devices at once, the Audio-Technica ATH-ANC40BT also remembers eight devices, allowing fuss-free pairing with your most-used audio sources. 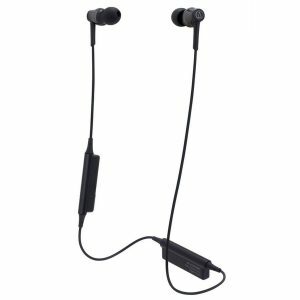 In addition to wireless operation, the headphones also feature Feed-Forward Active Noise Cancellation, a powerful technology able to counter and cancel up to 90 percent of exterior sound. Whether you’re travelling by train or plane or simply lounging at home or a busy coffee shop, the Audio-Technica ATH-ANC40BT will ensure nothing interrupts your favourite music. 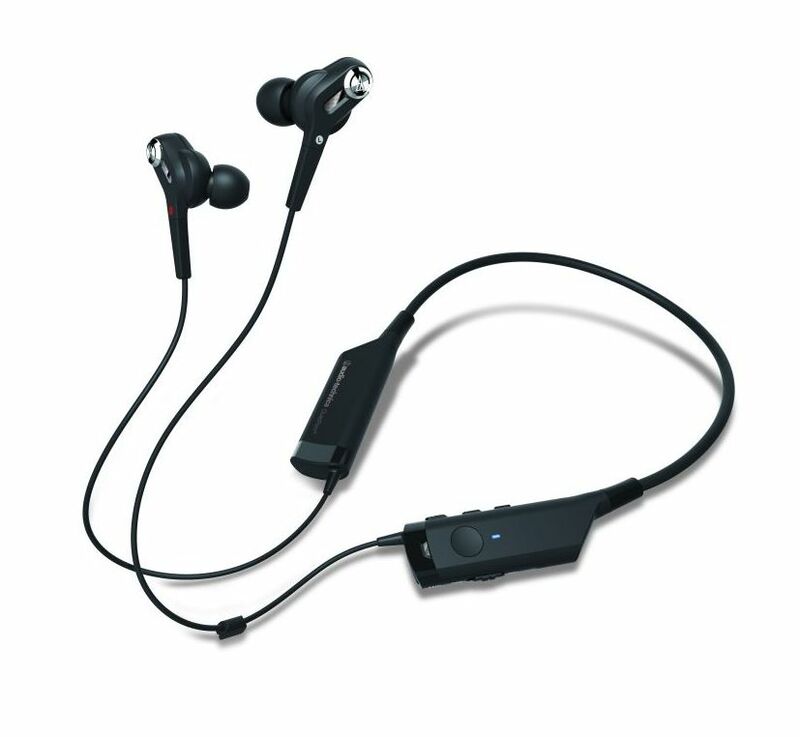 Both the Bluetooth and noise-cancellation functions of the headphones are powered by a built-in USB rechargeable battery which provides up to eight hours of continuous wireless audio and noise-cancellation. If you’re on a longer trip, you can turn off Bluetooth and use the wired connection to deliver 24 hours of noise-cancellation or switch off noise-cancellation and enjoy up to 13 hours of wireless Bluetooth audio playback. 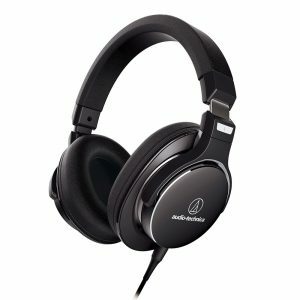 Decades of Audio-Technica headphone design and production is reflected in the performance of the Audio-Technica ATH-ANC40BT. Large 13.5mm drivers allow the headphones to reproduce rich, clear bass frequencies, while four sizes of earphone tip ensure a snug, comfortable fit for everyone. 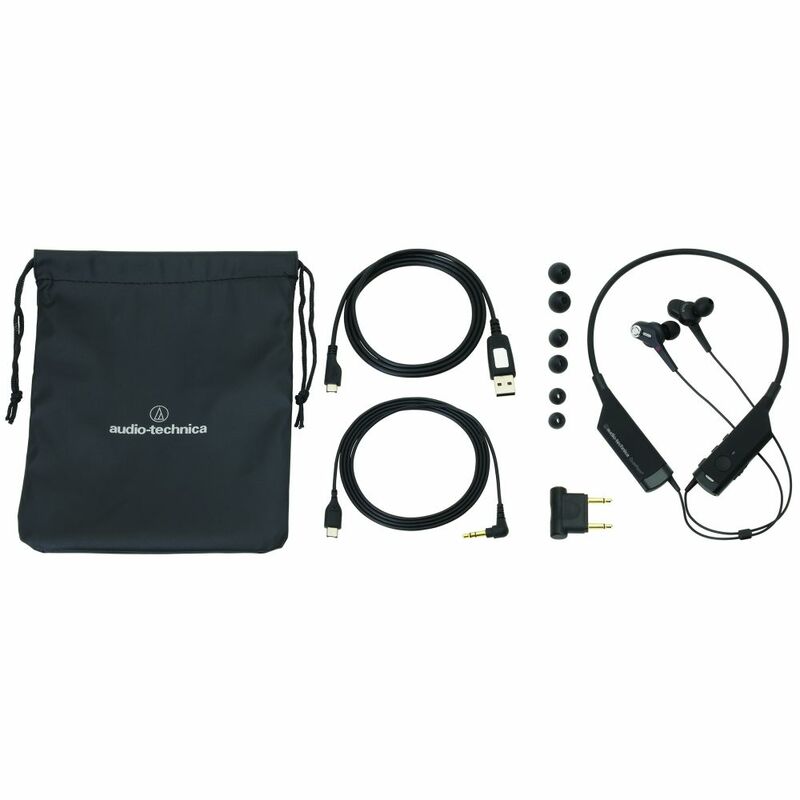 The headphones are also supplied with an airplane adapter, carrying pouch, 1.2m cable for optional wired connection and USB cable for charging. Operating Time Approx. 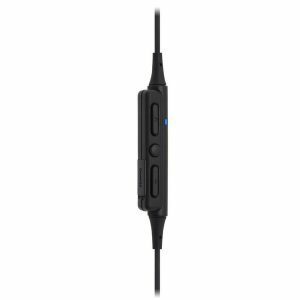 8 hours in Bluetooth® and noise cancelling use / Approx. 13 hours in onlyBluetooth® use / Approx. 24 hours in only noise cancelling use * Depending on operating conditions. The Audio-Technica ATH-MSR7NC headphones combine the Hi-Res Audio technology and design features from the original ATH-MSR7 with newly developed active-noise cancelling technology to bring you the ultimate listening experience.